We all dream five to seven times each night, offering a glimpse into a reality not normally available to us. Now Jungian analyst and author Clarissa Pinkola EstÃ©s explores the symbols, themes, and misconceptions of these "letters" from our unconscious, with the beginning student of dream interpretation in mind. 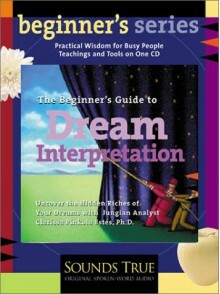 From the seven types of unusual dreams to concrete techniques for recalling and uncovering their hidden meanings to using dreams for inspiration and guidance - here is an accessible new primer from this eloquent authority on dreams and their archetypal power.